Patients who live in the San Jose, California area can visit Neeshat Khan, DDS to receive help with endodontics and other forms of dental care. Dr. Neeshat Khan offers her patients the best dental care possible. What is Involved in Endodontics? Endodontics is a specialized field of dentistry that involves treatment options that involve the inside of the tooth. A few of these procedures and techniques include root canals, apicoectomy, the use of an endo microscope, and retreatment of the tooth if it becomes damaged. Endodontic procedures are used when the shell or outer area of the tooth is healthy and undamaged. The fissures and crevices that make up the surface of a molar can often become compromised making way for cavities on the tooth's surface. Endodontics can treat the interior of the tooth and seal the crown to protect the tooth and allow it to remain intact for many years to come. A root canal is an endodontic procedure that involves drilling a hole in the top of the tooth and removing the nerve. 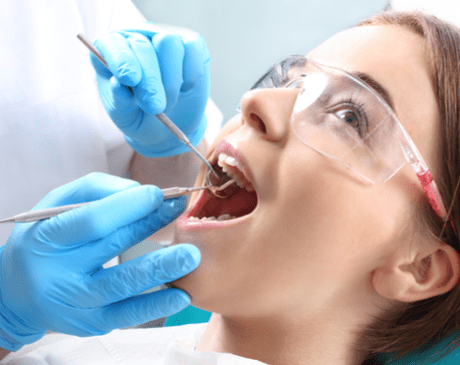 Once the nerve has been removed and all signs of infection have been completely removed, the dentist will fill the resulting hole with a composite material that will harden. By filling the tooth with this type of cement/matrix, the tooth is stabilized and will be protected from further damage. While the top and interior tooth are no longer as vulnerable to decay, the rest of the tooth must still be properly cared for. The use of proper brushing and flossing techniques will add to the tooth's line of defense and protect it from further damage. An apicoectomy is used when a root canal is not enough to stop the progression of an infection. The root tips of a tooth are referred to as apexes. Each apex has several small root channels that allow for small offshoots of the nerve to travel through. During a root canal, the dentist attempts to clear each of the canals and remove all of the infection. If some of the infection is missed or it finds a way to return to the same area, an apicoectomy is performed. During an apicoectomy, the tip of the root is completely removed. Instead of allowing the gum tissue to fill the gap, the dentist will replace the root with a composite material similar to that used to make fillings and sealants.